(Newser) – Court rulings in Pennsylvania and New Jersey are taking texting-while-driving laws down a new road, opening the door to not only holding the offending driver liable for a car accident, but perhaps also the person texting the driver, Consumerist reports. In neither case has anyone (yet) had to legally assume this burden: In the 2013 New Jersey appellate case, the "remote texter" was let off the hook because there wasn't enough evidence to show she knew her friend—who severely injured two people after slamming into their motorcycle—was driving when she texted him, the ABA Journal reports. And in the Pennsylvania case, the judge's ruling didn't hold responsible the two texters who were sending messages to the driver when she crashed into a motorcycle, killing that driver—it was simply determined the texters were fair game for the suit, per the Legal Intelligencer. But the fact that holding non-driving texters liable for car crashes is even being considered is starting to slowly impact the legal landscape on distracted driving. What lunacy. 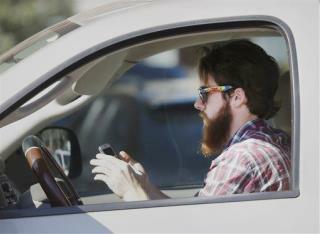 How is one to know that the recipient of his/her text is behind the wheel of a vehicle when they initiate a text? My son sent me a text. I replied, Can't text now I'm driving. Disclosure. He was initiating a conversation. I stopped to send the reply. Contrary to what jerrymac stated, Texting takes your attention away from the driving task and directs it towards a small screen held in your hand. And while you can voice to text send messages it's most dangerous to type those qwerty keys. All this said I disagree that sending a text to a drive should make the sender liable for the actions of the driver. The driver can easily respond with a voice call. Phones are set up now with bluetooth and voice dialing. I know it's a challenge for many but people need to think.